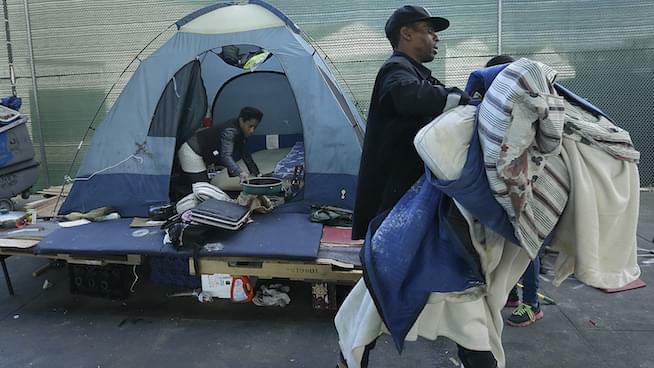 It’s difficult to write a headline for a story about affordable housing in the Bay Area — let alone the homelessness issue that faces almost all cities ringing one of the wealthiest markets in the world. It’s a known problem, a pervasive and persistent crisis, and the stark contrast in incomes generated in the Bay makes it difficult to rectify. But, that’s what has to happen, or the whole thing erodes. Our super-commuters already put up with outrageous travel, just to get to work and pay the bills. What will Silicon Valley types do then? Helicopter in the household help? Or, more importantly, what will the school superintendent or fire chief do when nobody will take their vacancies due to cost of living? We dedicated our latest show to learning about solutions that are in the works to prevent such upheaval. In part one, we speak with Matt Regan, the Senior VP of Public Policy at the Bay Area Council, about affordable housing and find out their number one cause for this crisis. The Bay Area Council is a business-sponsored, public policy advocacy organization that studies all aspects affecting life in the Bay Area’s nine counties. In part two, we focus on Oakland and what they’re doing to address the homelessness and housing insecurity with Oakland Mayor’s office Director of Housing Insecurity, Darin Ranelletti. Among other solutions, we get the details of the Tuff Shed program and how Oakland is trying to keep residents in their homes. And finally, in the last part, we head to San Francisco and get a peak at the data solutions Jeff Kositsky, the Director of San Francisco Department of Homelessness and Supportive Housing, is using to not only get people into permanent housing, but see an overall drop in homelessness. See here for some recent statistics on housing in the Bay Area. The numbers are likely to even shock the most jaded participant. Please click through any of the above links for more information. Visit our show page to view all our podcasts (see this week’s segments mentioned in the article below) or find them on iTunes,Stitcher and Google Play.